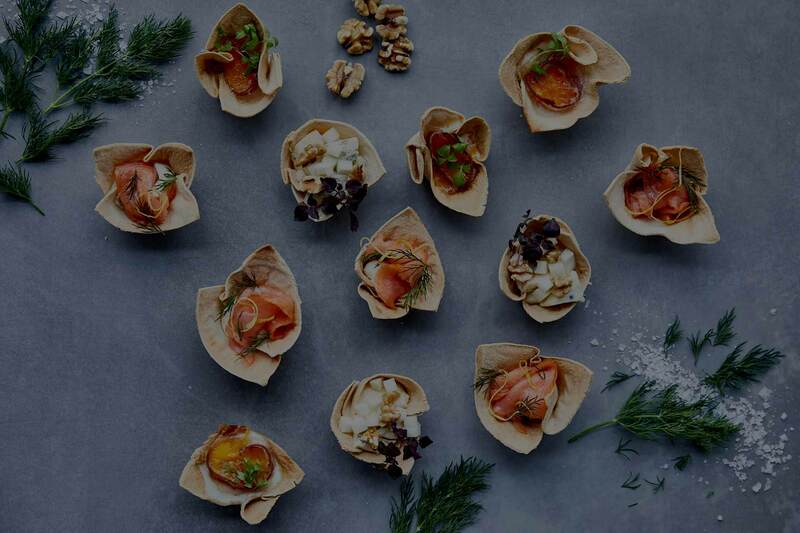 As a full-service caterer, we believe in good networks. Each of our partners has something very special and shares our wild passion for exquisite ingredients and exceptional events. We are working with most of our partners right from the start and are therefore a wellestablished team. But we are always interested in new wild liaisons. If you think you fit the bill, we look forward to hearing from you! An American gal in Berlin, Maggie is an event expert and the creative drive behind “Wishbone Berlin.” Originally a buyer for design products, Maggie put her roots down in Berlin organizing food markets as a result of her talent for bringing the right people together at the right time and for her love for good food. These days, she specializes in event design and creates unique, colorful, fairytale event landscapes. 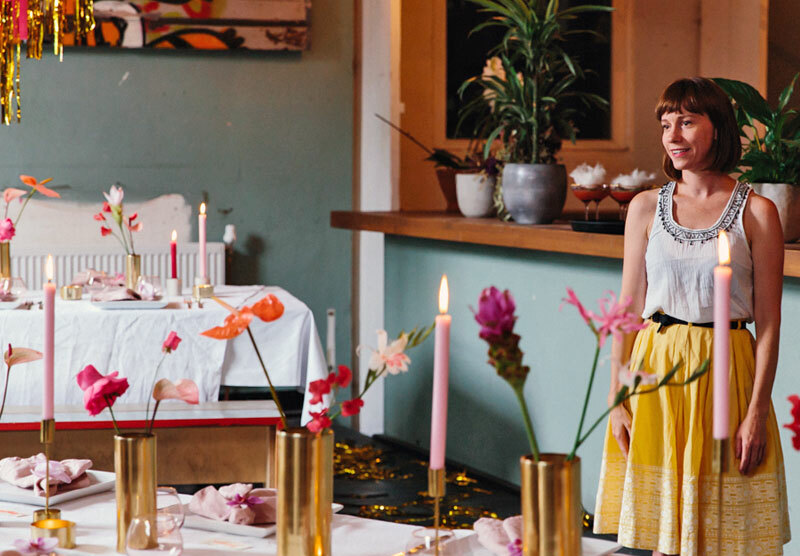 Whether a pop-up dinner, wedding, brand event, or festival: with Maggie and her team behind Wishbone Berlin, every event leaves a lasting impression. 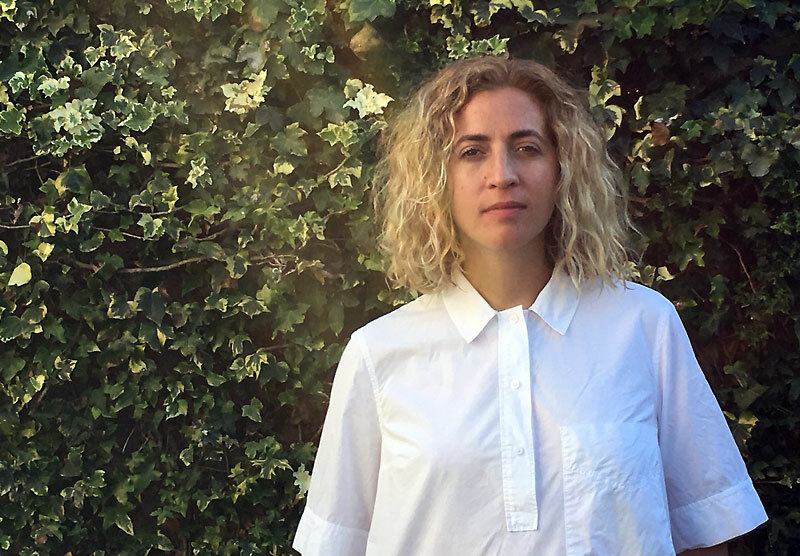 When she’s not taking phone calls or serving cotton candy cocktails, she spends her time making balloon installations, creating clouds from flowers, or tinkering with her famous “streamer walls” that she makes for clients like Absolut, FvF, Google, Adidas, and, of course, for us. What luck! One of the most beautiful collections of antique furniture and accessories in Berlin can be sourced at gotvintage. Originally from Argentina, Margarita Gozalvez, with her sense of aesthetics in combination with her distinct sense of humor, ensures that the preparation of every event becomes a celebration. Pairing up with Gozalvez has not only been a pleasure, but it’s also been a total learning experience as her “hands-on” mentality makes event production so much fun! 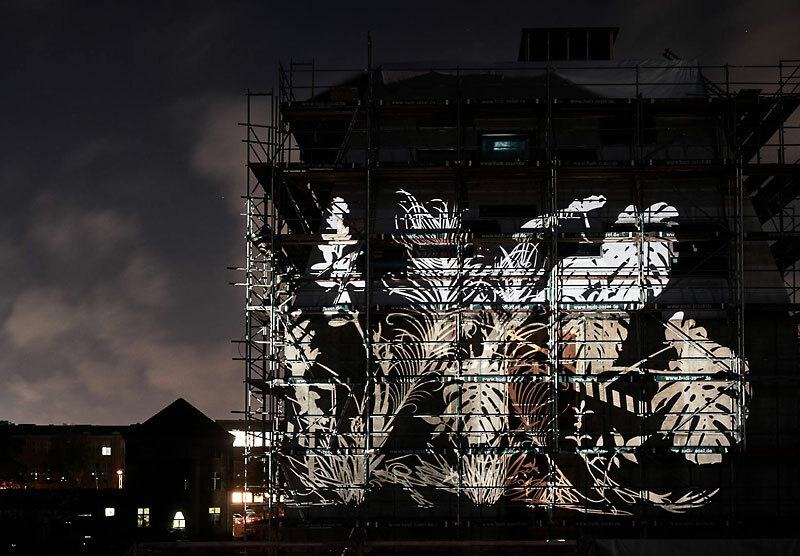 Visual artist and designer Yuti K. Feiler is known for her light installations and collages that illuminate beyond the city limits of the German capital. 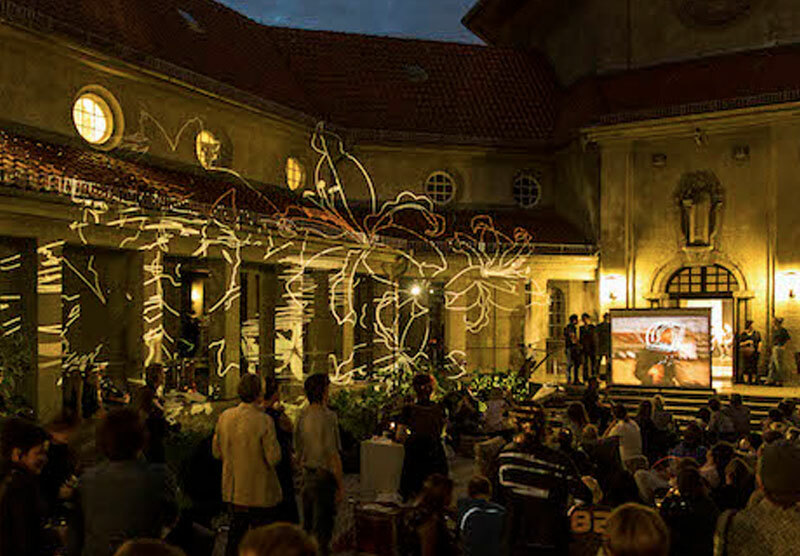 For “Wild & Wiese” she has already added her artistic touch by garnishing various events and pop-up dinners. 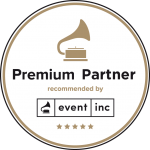 Her light shows are a hit with other clients such as Electronic Beats, Universal, Diesel, Bertelsmann, Friedrichstadtpalast, and Festival of Lights. 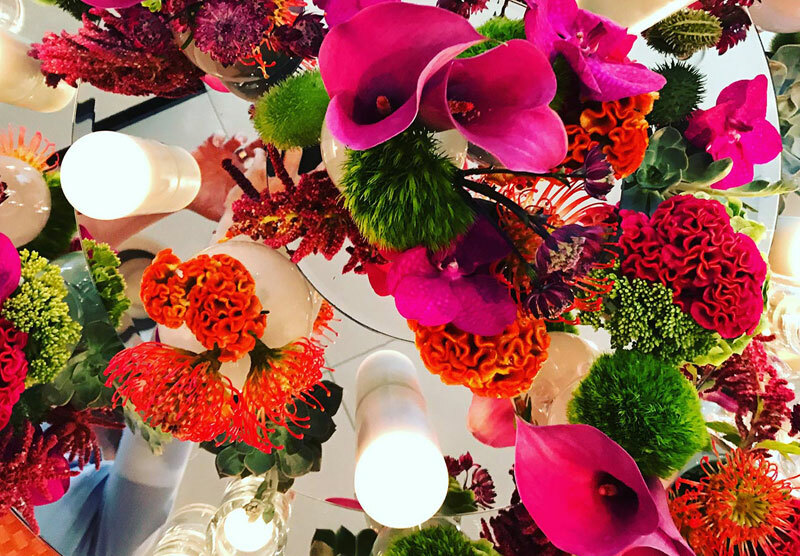 “Thank you very much for the flowers!”, is what we almost always say to René Grevsmühl, Matthias Barten, and their great team from “Florale Welten.” The petal doesn’t stop at floral arrangements as their vision dives into other flowery spheres as well. Imagination knows no boundaries when the trained florist together with the interior decorator, design polished concepts for various events. Whether imposing and beautiful, or rather delicate and purist, every festival blossoms in its entire splendor. The former crematorium in Wedding has been recreated into a 17-meter-high dome hall with superb acoustics. The compassionate and experienced team work wonders in this space offering unlimited freedom for cultural and creative things. It was love at first sight when we met the creators of the Silent Green Cultural Quarter a few years ago. It quickly became clear that we do wild things together. The romance dates back to 2015 during the first pop-up dinner, and more memorable future experiences are dancing in the future. 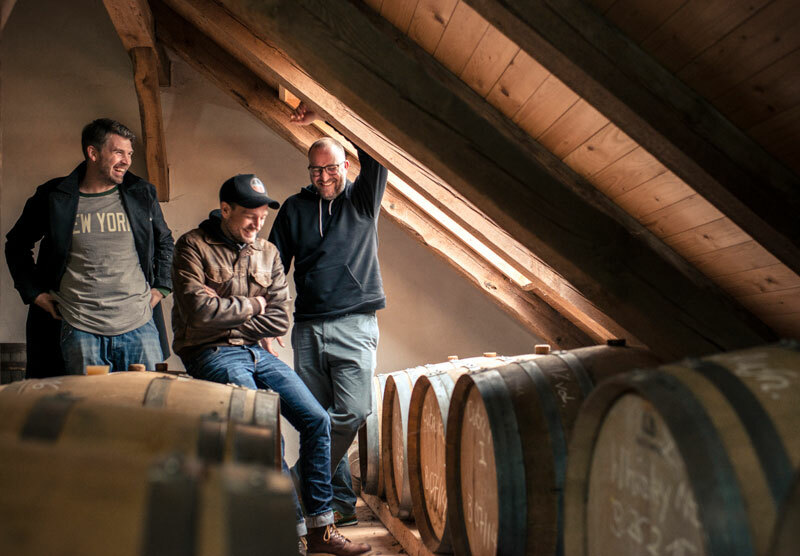 Just 60 kilometers from Berlin, in one of the most beautiful villages of Brandenburg, lies the Spreewald Distillery in Schlepzig. It was founded in 2003 and taken over in 2016 by the “Spreewood Distillers.” We not only love the boys’ STORK CLUB Rye Whiskey but also their “spirit” in the real sense of the word. The Bärensaal in the old city hall is one of the most impressive venues in Berlin– and certainly one of the most historic. Since its establishment over a hundred years ago, this ballroom has lived so much—if walls could talk! Notorious for its famous bronze bear sculpture, which made a little trip to the zoo in GDR times only to return to its native domicile in 2001, has been the magnificent ambiance at many lavish parties in the hall. 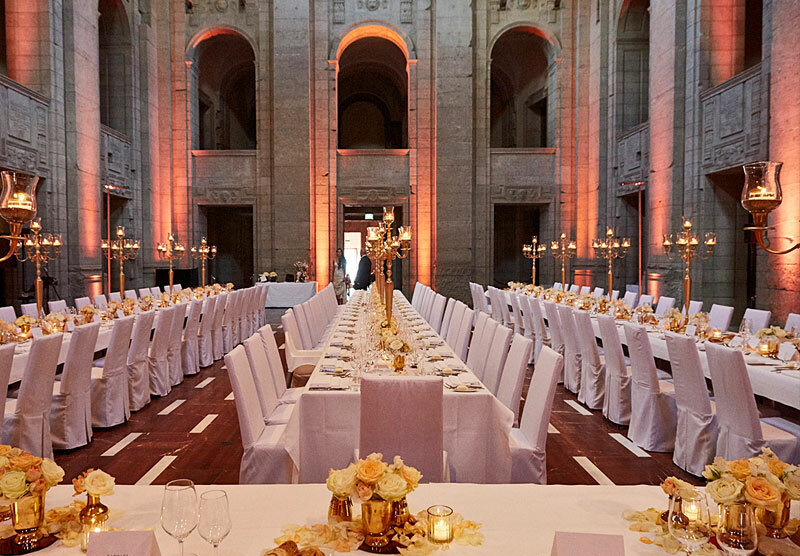 Marvelously meticulous details such as Rosso Verona marble floors, filigree ornaments, and the imposing barrel-vaulted ceilings made of bright brick are the crowning glory of every event in the Bärensaal. If you are looking for an exceptional ambiance, you will find it here. Whether a wedding, a gala dinner, or a company anniversary: this is the place for the bear. And Wild & Wiese is there!